One incentive for exercising is that it cuts the risk of having a stroke. It would be wonderful if exercise eliminated any chance of having a stroke. Unfortunately, strokes still happen. But thanks to a new study, we now know that if you do have a stroke and you’ve kept yourself in shape, it still pays off—big time. The study: Researchers at University of Gothenburg in Sweden studied 925 patients, average age 73, who had had first strokes between 2014 and 2016. Nearly all of the patients had had ischemic strokes, those caused by blocked blood vessels in the brain. The patients were asked to report their general levels of physical activity before their strokes. Then the severity of the strokes in patients who reported light or moderate physical activity was compared with the severity of strokes in patients who reported being inactive. The researchers suggest that physical activity may reduce stroke severity and improve recovery because it increases blood supply to the brain, which may protect the brain from at least some stroke damage. So how much do you have to exercise to get this stroke protection? 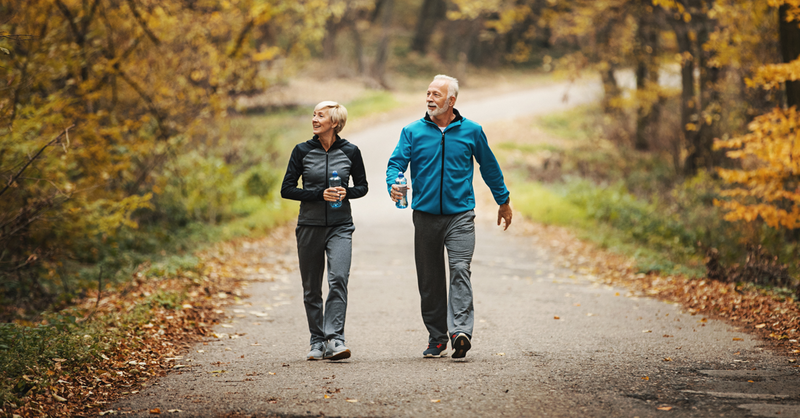 Light activity was defined in the study as light walking at least four hours per week…and moderate activity was defined as engaging in an exercise program, such as physical training or a competitive sport, at least two or three hours per week. Not hard to do! But if you need additional inspiration, read this.